Inspired by visits to variety theatres as a youth, Joe made his his first mark by winning the Star Trail Butlin's Talent Show in the 1960s. Further success followed on T.V. 's Opportunity Knocks and, later, on The New Comedians. 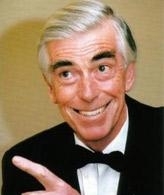 Joe Goodman also received prestigious awards such as Club Entertainer and Southern Entertainer of the Year, becoming known as "The King of the One Liners". In addition, he was a talented artist and inventor of novelty characters such as Clive the Cone (which was used in road safety campaigns). Joe created the striking GOWR pub sign which has pride of place hanging outside the Order's Grays Inn Road premises.